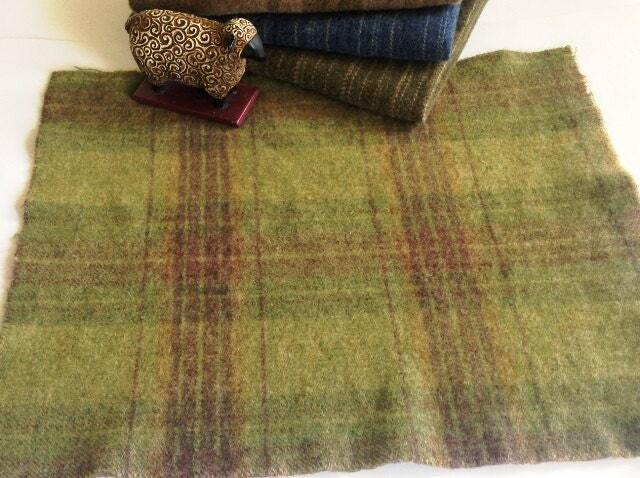 This 100% wool fabric is a lively green plaid I have named "Green Apple Plaid". 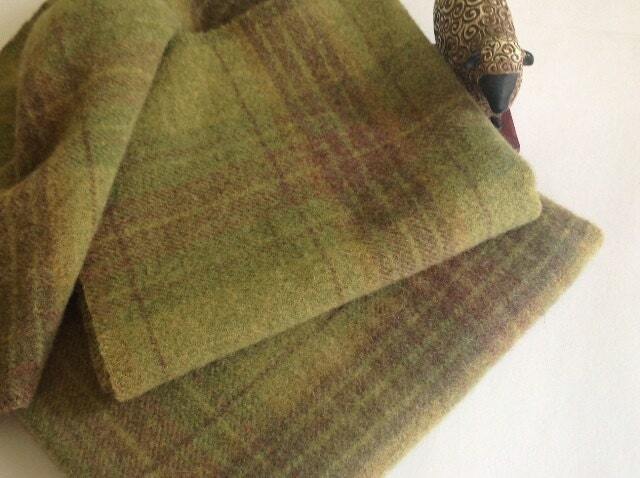 A wonderful mix of lime green, medium apple green and softly woven threads of very muted light brown. The largest area of plaid is about 10" square. The bright lively lime green area is about 2 1/2" x 3 1/2". This wool has been washed and dried by me to make it perfectly ready for rug hooking, applique, quilting and many other sewing projects. It is a medium weight and has a soft feel to it. For rug hooking it will work for all primitive cuts from #7 through wide cuts. Select the size to fit your project needs. The 1st photo shows a fat quarter. The 2nd photo shows a fat eighth. Fat Sixteenth is approximately 7" x 16". A must have for your wool stash! Perfect for leaves, trees and vines, grass and hills, shrubs, fields, and anywhere you want a spark. Mix it with all other shades of greens for perfect trees and leaves. Everything about DesignsinWool is fabulous! Wonderful color for my rug. Thanks so much. All of your fabric is beautiful.